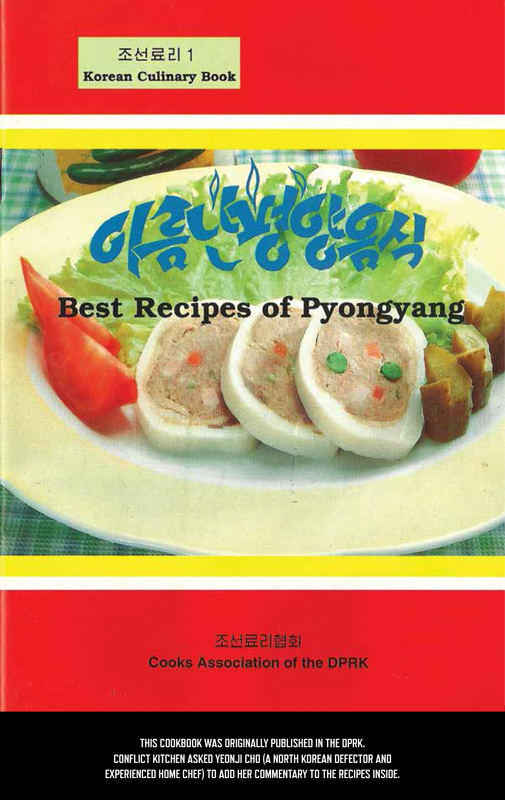 This twenty-five page cookbook was originally published in North Korea. 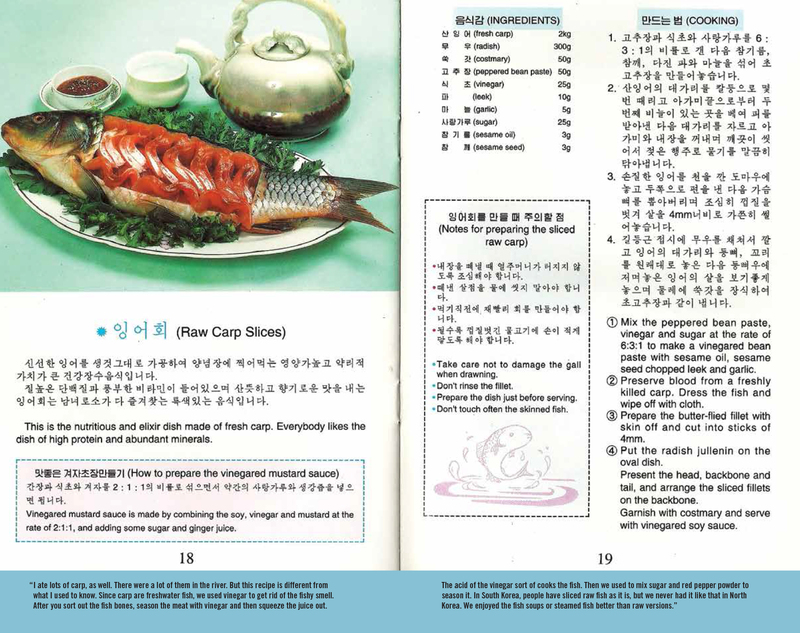 We asked our friend Yeonji Cho (a North Korean defector and experienced home chef) to add her commentary to the recipes inside. Our reprinted version is available for purchase at Conflict Kitchen for $2. — Yeonji Cho was born and grew up in Ganggye, North Korea. She was a fashion designer in North Korea and defected to South Korea with her family in the middle of 1990s. Currently living and working in Seoul, she also designs “Jogakbo”, the Korean traditional patchwork wrapping-cloth.